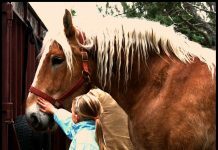 Home Horse News May 2-8 is Be Kind to Animals Week. May 2-8 is Be Kind to Animals Week. American Humane’s Be Kind to Animals Week is an annual tradition that aims to recognize the important role of animals in humans’ lives and to educate all people, particularly children, about humane care and treatment of all animals. American Humane asks animal lovers to promote the objectives of Be Kind to Animals Week. With thousands of horses in rescue facilities around the country, consider adoption for your next mount. 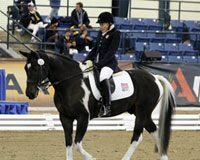 Rescue horses can be found in all ages, breeds and at all levels of training and ability. 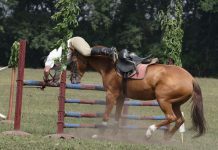 If you are not currently in the market for a new horse, you can help by offering your time and talent by volunteering at a rescue or assisting in fundraisers to benefit your local equine rescue or sanctuary. Click here to find an equine rescue near you. Read more about adopting a horse from a rescue here. Cruelty and neglect are unfortunate realities of the horse world. If you’ve seen a horse that is severely emaciated, is kept in an unsafe or inadequate living space, or appears to have injuries that are not being cared for, take action. In most cases, it’s difficult to tell if an animal is truly neglected. 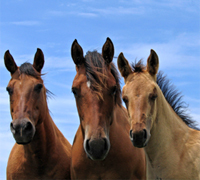 Click here for information on identifying and reporting neglected horses. Click here for help identifying and reporting abuse or neglect of pets. Horses and other animals can’t speak for themselves. Learn about current legislation that affects animal welfare. Let your elected officials know that as a registered voter, animal welfare is important to you. Find out about action alerts affecting the welfare of animals and children at American Humane’s website. So, last month was prevention of cruelty to animals month and now we have be kind to animals week. What’s the difference?